The J-20 stealth aircraft is a twin-engine, multi-role fighter that has an exceptionally long range and can fly faster than 2,000 kilometers per hour. It is said that its radar-scattering airframe is made up of radar-absorbing materials that supposedly makes it hard to detect at long ranges. New Delhi (Sputnik): The Indian Air Force (IAF) has claimed that it has the resources to easily track the Chinese military's newly inducted J-20 stealth fighter. The IAF's statement comes amid reports in the Indian media that say the new Chinese fighter aircraft was capable of ducking the radar. Air Chief Marshal B.S. Dhanoa, while addressing the media at Halwara on Thursday, said that signals from the J-20s can be picked up easily by existing radar from several kilometers away against the currently held belief. Air Chief Marshal Dhanoa also said that the IAF is better equipped and prepared to tackle any threat from China. "The air force is on a strong wicket against China. Whatever requirements are there from the budget, have been sent to the government," the Air Force Chief told journalists. 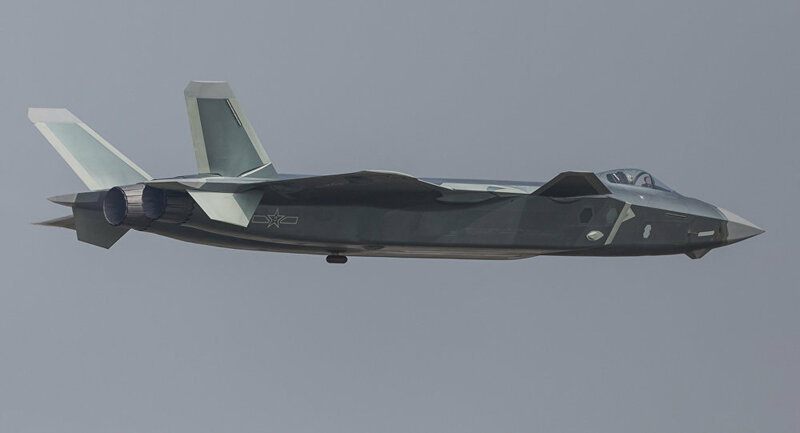 On February 9 this year, an official statement on the Weibo account of the Chinese People's Liberation Army Air Force (PLAAF) had revealed that the J-20 had been deployed with combat units. Earlier, the IAF said before the parliamentary panel that the force has enough resources to take on the challenge of a two-front war (China and Pakistan simultaneously) but the cost of victory could be a little more with the present capability. "It is no doubt, challenging to fight a two-front war with the current resources that we have but we do not shy away from any challenge. The cost of the victory could be a little more but that is what we are training and we are preparing for," the IAF said before the panel which tabled the report on March 13 in the parliament.